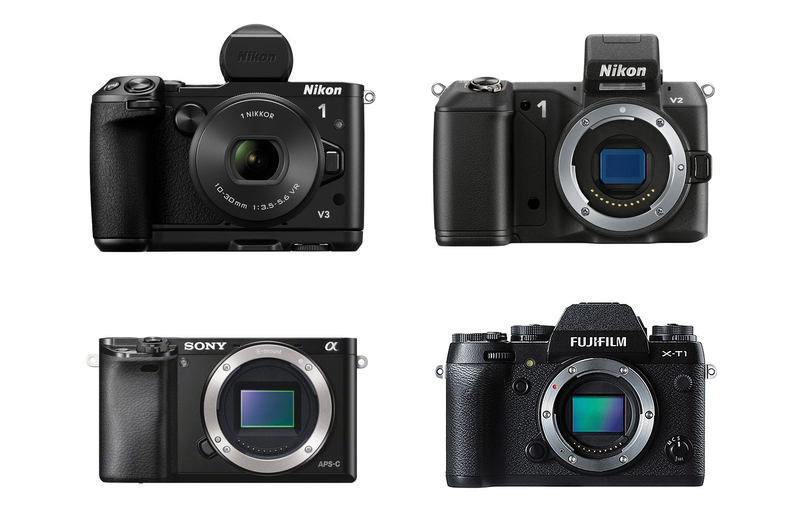 Here is full specs comparison of new announced Nikon 1 V3 and Nikon 1 V2, Sony A6000, Fujifilm X-T1 mirrorless cameras. Nikon released a series of firmware updates for Nikon 1 mirrorless cameras. 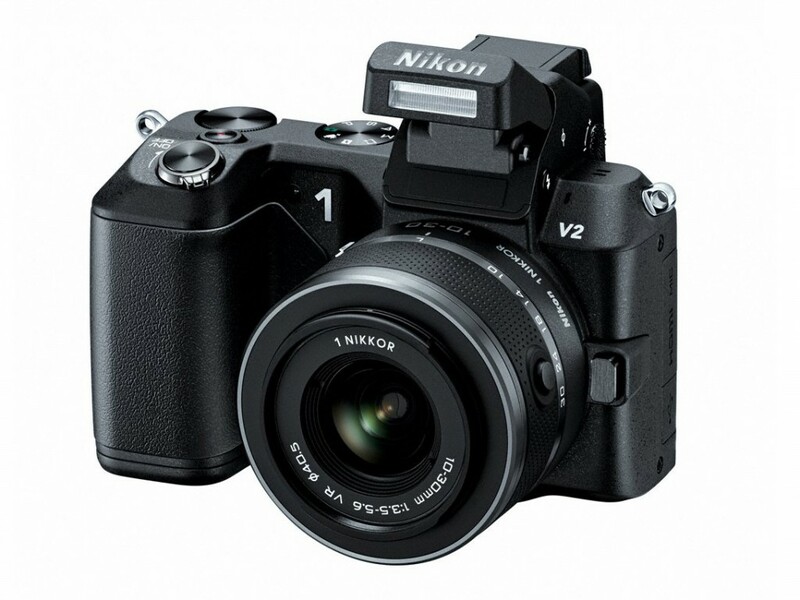 Nikon has launched the 1 V2 – a more enthusiast-focused 1-series camera built around a 14MP sensor. The V2 adds a built-in flash and mode dial and more extensive front grip. It can shoot at up to 15 frames per second in combination with its hybrid AF system. It also has a configurable ‘F’ button to give faster access to key camera settings. The V2 uses a processor that lives up to the latest Expeed 3A billing. It also retains the V1’s original list price of $899 with 10-30mm kit zoom. Nikon has also announced an accessory SB-N7 bounce-able Speedlight for the 1 System.